We make your get-togethers the Best! Our Award Winning BBQ is perfect for any event you’ve got cooking. Our catering crews bring plates of Award Winning barbeque to all occasions including: weddings, church picnics, banquets, parties, class reunions, family reunions, business lunches, graduation parties, holiday events, neighborhood gatherings, large corporate functions and more. You name it, we’ll be there. No GIG TOO BIG! 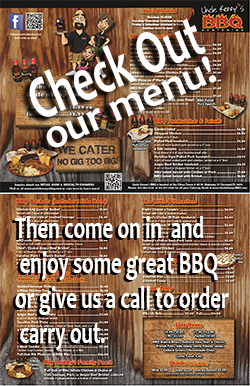 We’ll cater our BBQ for groups of any size. Let us make your next get-together a smokin’ success.